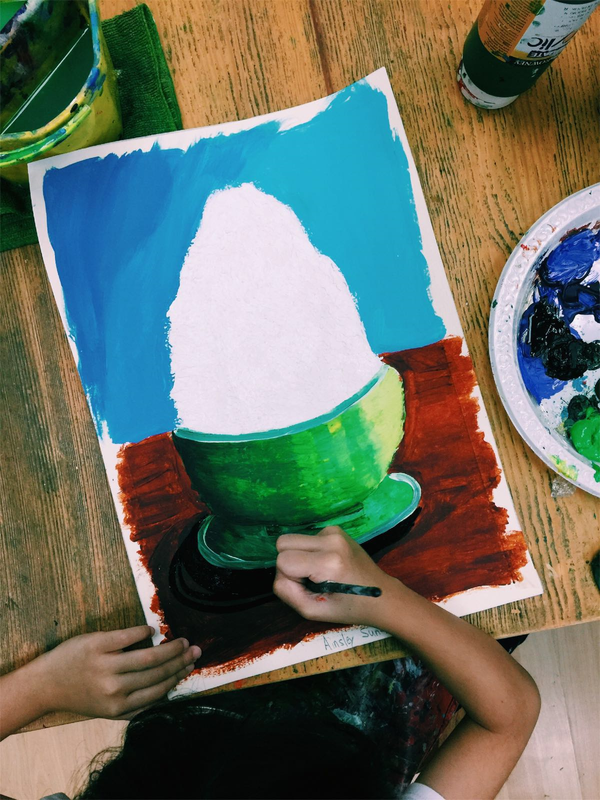 In this blog post, we will be giving an insight to how our teachers at Art Grain teaches our students. At times, when students faces difficulties, teachers stepped in and give closer guidance, give them a recap on the ways to create a good work and most importantly, get them motivated. It is important to motivate and encourage our student because it is something that will keep them determined and learn in the process of their art making. This will aspire them to do better and grow. Seedling Program are catered for the young creative minds starting from the age of 2.5 to 4 years old. The objective of this program is to improve our student’s basic motto skills for instance learning to have good grasp of the pencil, brushes and having the confidence to make and rectify mistakes in their work. 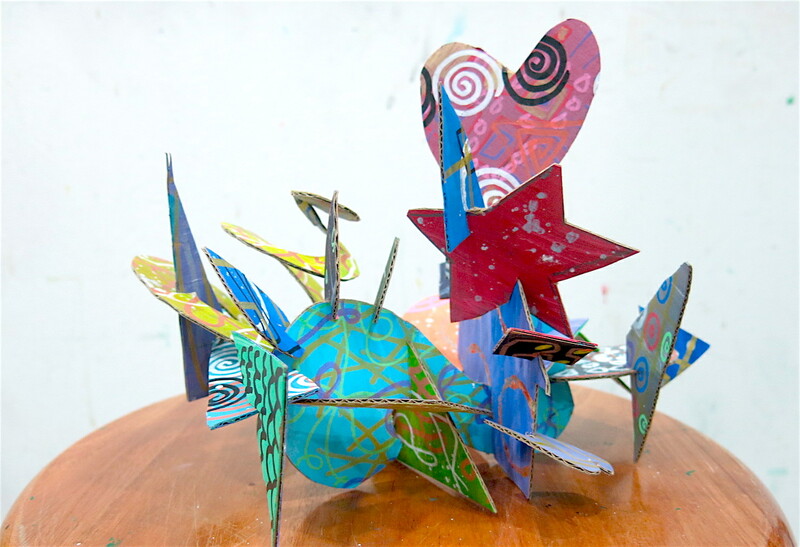 Besides that, they will learn to draw basic shapes and combine them to create an object based on the subject matter. They will also learn to follow step by step instructions and apply it independently on their masterpiece! Do you wonder how Hannah managed to create a fantastic apple tree? Continue reading and you’ll know how she did it! Using the image above as a reference, she applied her creativity to draw an apple tree. Usually, before showing a demonstration, Teacher Syaz communicates with her by asking questions related to the objective of the project such as “What kind of shapes do you see?” Hannah replies, “I see a big oval and a small rectangle” Teacher Syaz then demonstrated the drawing by using descriptive words such as “a jumping line” being drawn for the ground. This way, Hannah will be able to discover fun in the process of art making. After drawing onto the final paper, Hannah was given the option to select her own colors by prompting her with questions such as “what time of the day is you artwork showing?” This develops the kind of mood she want to integrate in her masterpiece. He artwork may seems to be simple by she will be applying some painting techniques that will bring her tree to life! One method is to achieve this is by creating textures. In this case, the leaves on the trees were created by doing a continuous stamping motion onto the paper by using the stencil brush. Using marker caps, dip it in red paint and gently stamp on the top of the leaves and that is to represent an apple. After several demonstrations and reminders, she was able to work independently under close supervision. Headstart Program are catered for kindergarten students. The objective of this program is to encourage and expand our student’s creativity by creating an illustrative narrative in their artwork which are mostly relatable to everyday life such as culture, places, food in Singapore and the list goes on. They will be producing slightly complex drawing than the Seedling students and they are introduced to principle of elements and design in their artwork, composing pictures in the correct proportion using depth, layering and perspective. This is Kai Jin’s magnificent elephant inspired by the Indian culture as represented by a carpet laying on top of the elephant’s back. He went through some hardships in drawing the elephant. However Kai Jin was determined to correct his drawing with Teacher Syaz’s guidance. Kai Jin selected the image above as an inspiration, before demonstrating the steps, Teacher Syaz showed him that it is possible to breakdown the elephants into shapes and that would make it easy for him to put the images together. Kai Jin was also encouraged to make his own color choices to create contrast in his work. A simple explanation would be for instance, darker colors being used on the subject will stand out if the background is in a lighter tone. Giving suggestions also helped him to generate his own creativity and ability to analyze his own artwork. He is learning to paint within the shapes and he tries his best to do it carefully. Kai Jin is not only restricted to only use paint in his artwork. He was also introduced to mixed media approach in coloring the elements in his work whereby he uses acrylic and oil pastel. Oil pastel was used to create a faded cloud in the sky, the intense dark thick lines are drawn for the grass. He is given the flexibility by Teacher Syaz to experiment and explore using two different mediums. Foundational Program is catered for primary school students. The objective of this program is to strengthen our student’s basic fundamental art before moving on to the developmental program. The curriculum installed requires them to use this eye and hand coordination, mastering painting techniques such as blending, dry brush effects then applying it on their work independently, being exposed to basic knowledge of artist and also to generate their minds to analyze their artwork and then executing it. Alison achieved a spectacular masterpiece in her “Take Flight” project after facing some struggles in the process of completing her artwork. Before starting with this project, Teacher Syaz encouraged her to challenge herself to try something new. She is opened to the idea and it got her motivated to try it. She loaded the brush with sky blue and purple and strokes the brush in a criss cross motion on the paper to suggest movement in the background. After that, she splattered diluted white paint on the background to show snow falling from the sky. Alison then proceeded to painting the wings. She struggled to paint the wings however she has put in a lot of efforts in trying to blend each feather from Dark to light tone. Overall, she did a fantastic job!